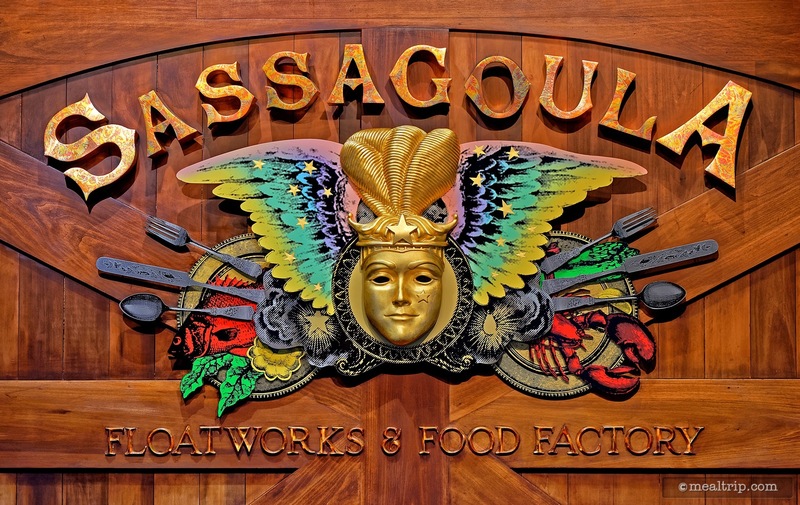 The design style in the Sassagoula Floatworks dining area could best be described as... hummmm... New Orleans Modern Warehouse meets Bar Whimsy... oh heck I don't know what they were going for. It's clean, and big with cool bits here and there... but those cool bits are too few and far between to be considered a theme. The food however, is usually much better. 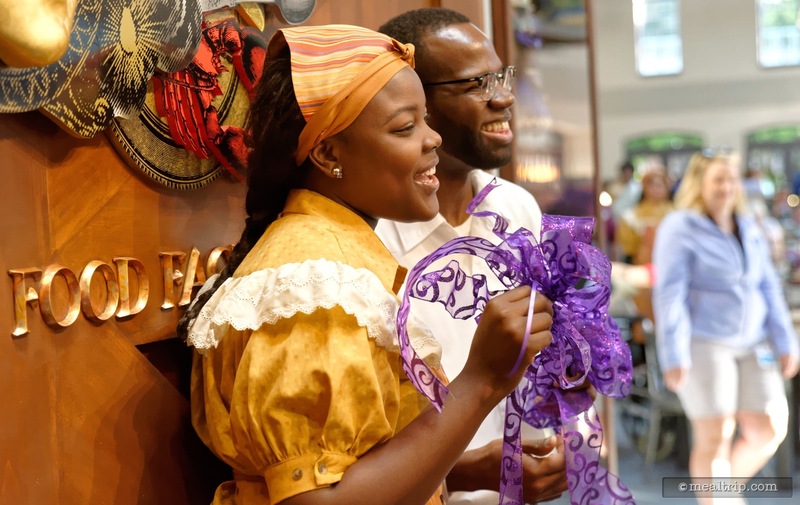 There are nods to New Orleans cuisine just about everywhere and if you select a dish that you might actually find in the Big Easy, like the Shrimp and Grits, Jumbalaya, or Gumbo... they get about as close to "authentic" as you'll find around the parks. That's pretty high praise for a counter service location. 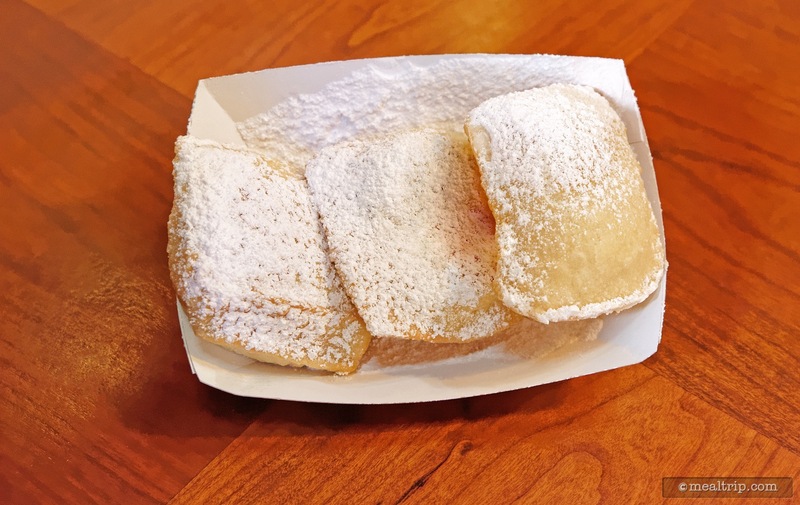 And then I just have to say it... fresh Beignets... all day long. Do you really need another reason to go? So it's been a few months now, and I figured right in-between lunch and dinner (around 3:30pm-ish) French Quarter's only counter service location would be about as deserted as it ever would be. My feelings about the decor haven't really changed much. It's a pretty bland looking, office warehouse-like, space with a few colored bottles hanging from the rafters and mardi gras masks tossed in here and there. 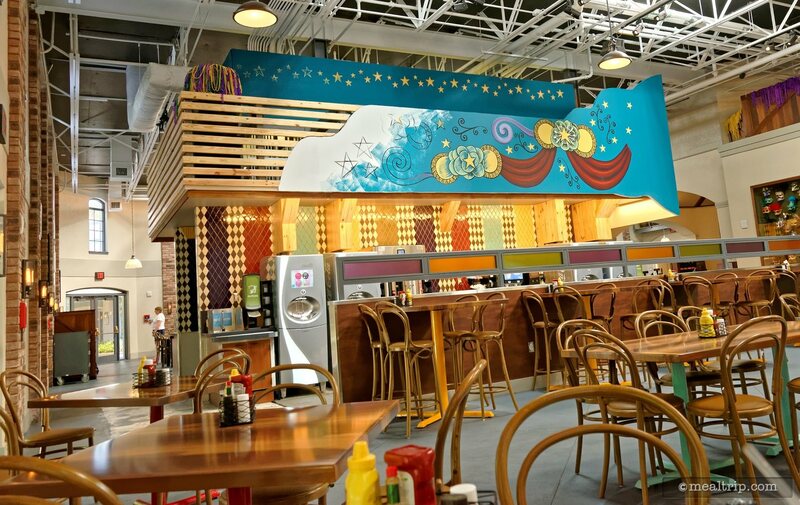 It's not exactly immersive themed dining, but it was a lot cleaner than it was at 7:00am. 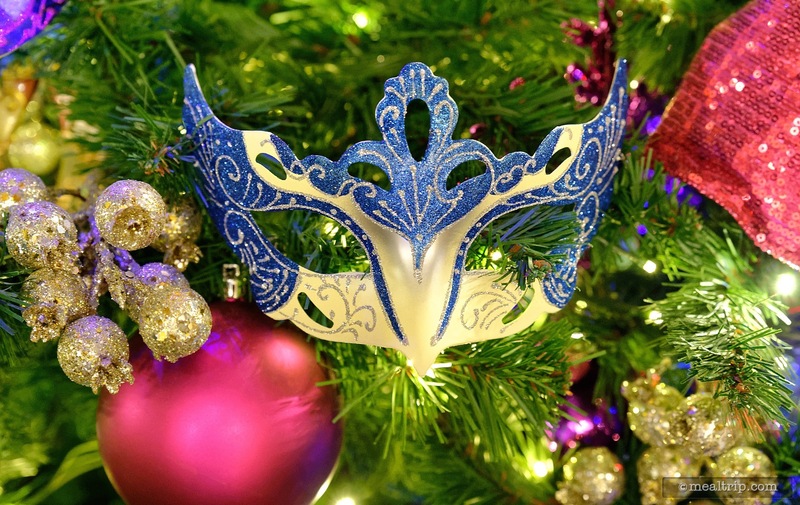 There wasn't a sign of powdered sugar anywhere! 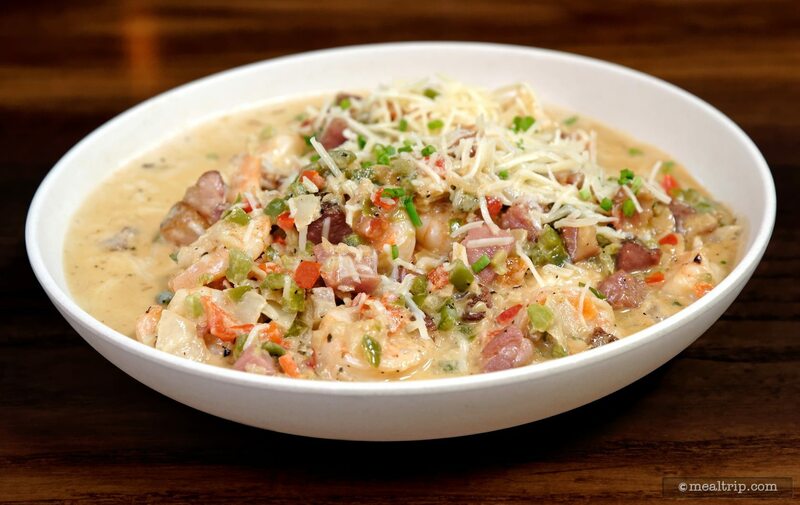 Sassagoula basically has the same menu for lunch and dinner so I selected a Louisiana classic, the Shrimp and Grits. This entree was off the hook delicious. Batting way above it's pay grade… practically a table service restaurant entree… I wouldn't be disappointed if I had ordered and received this dish at Boatwright's at twice the price. Even though the restaurant was practically empty, the dish was made-to-order and took about 10 minutes to fix up… so I'm not sure what happens when the place gets busy, but if this Shrimp and Grits is made right there, hot and fresh… it's amazing! 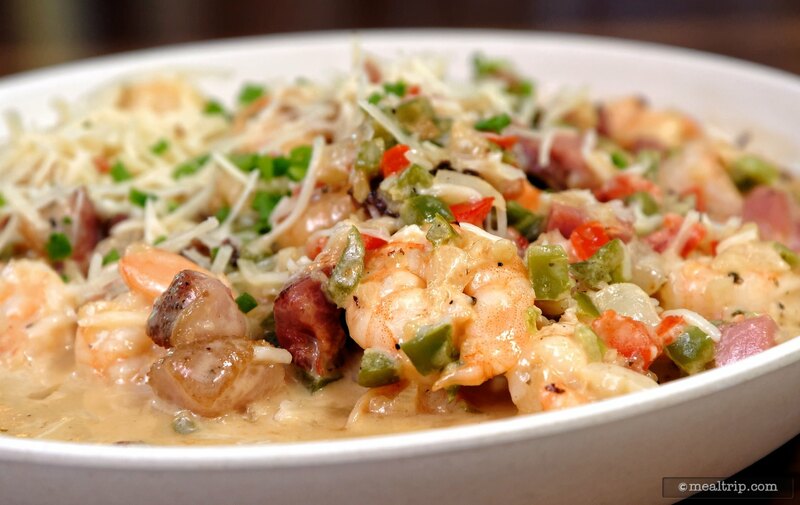 There were around 20 small shrimp in the melamine bowl, at least two kinds of sausage, red and green pepper, onions, a fabulous cream sauce, some shredded cheese and of course… the grits were hiding under all of that! It was a large portion, and there's really nothing I would have changed or altered. 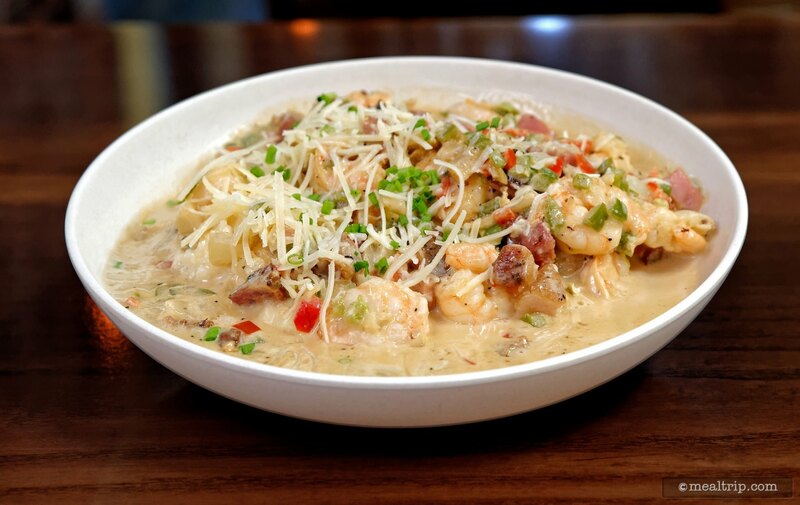 A perfect 10 Shrimp and Grits. 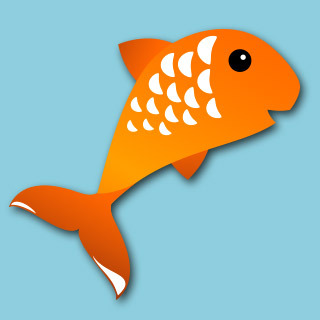 It may feel like you're dining in the middle of an OfficeMax, but the food has been great so far! 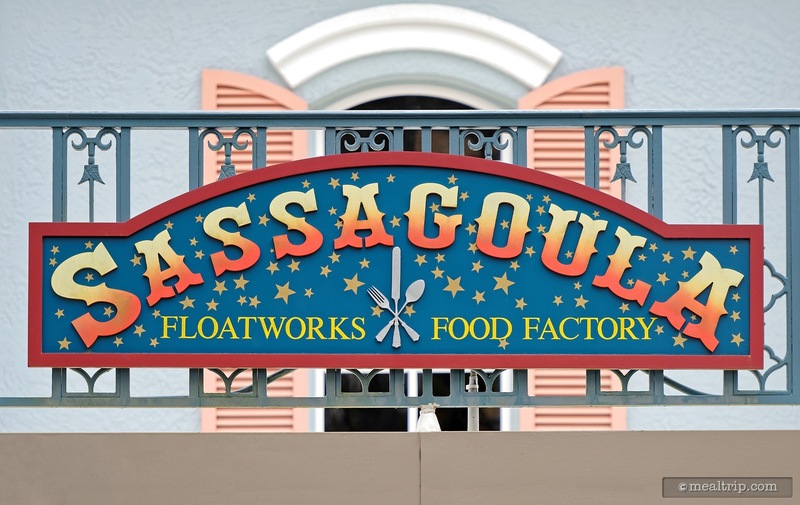 The current version of Sassagoula Floatworks gets two thumbs up from me! 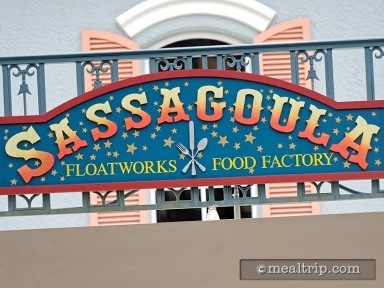 Sassagula was very lively with all of the decorations on the walls and ceiling. 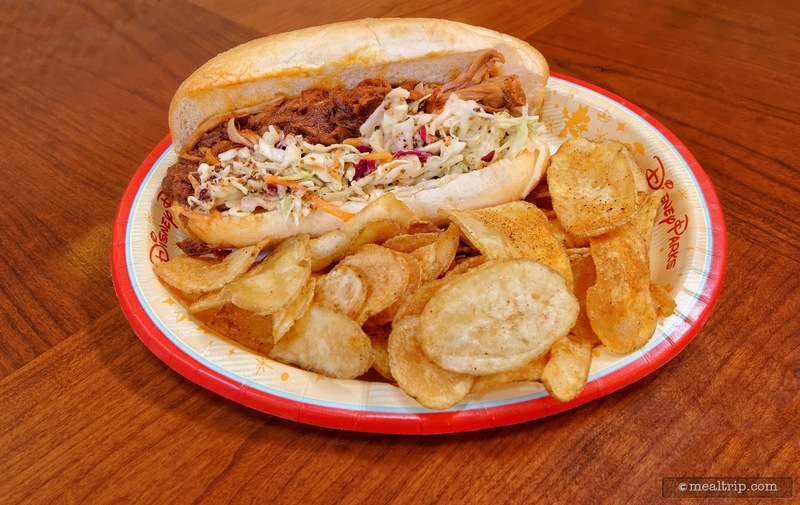 I chose the Po Boy pork sandwich. The cole slaw was too vinegar and bitter for my taste and unfortunately the house chips were too spicy. Thankful for the open soda machine. For dessert we enjoyed the beneigs with the jelly samples we located. They were freshly made and covered with powered sugar. Be careful not to inhale while taking your first bite.